Newton’s laws of motion and gravity are often applied to economics and the stock market. What goes up, must come down. While this generally explains a natural path of the economic cycle, the key question for most investors is: When will it come down? Durable Goods Orders — These track when businesses order new big-ticket items, such as machinery, automobiles or commercial jets. When the economy weakens, companies keep older machines running longer to save money and orders cut back, but once the economy strengthens, durable goods orders increase. Manufacturing jobs — Likewise, when factories receive more orders for durable goods, they hire more people to produce them. Building permits — These gauge the health of the real estate industry. Strong starts in building permits generally indicate a nine-month lead in new home construction. When permits fall, that’s an indicator that the demand for new housing is dropping, which can mean there are other factors affecting the real estate market. 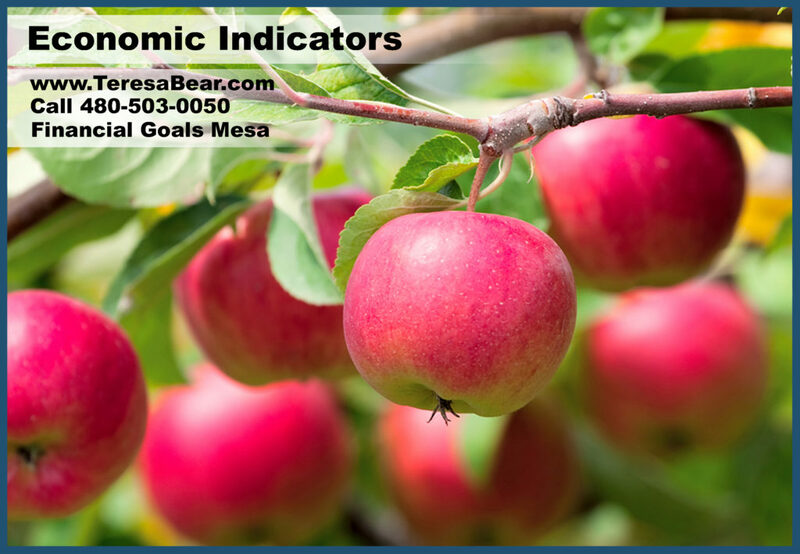 There may be economic indicators you can detect in your own life. It’s easy to track when prices increase at the grocery store or at the gas pump. The interest on your credit cards may increase. The balance of your investment accounts may rise or fall faster than normal. It’s important to pay attention to these economic clues in order to make adjustments to your financial strategy to help ensure that changes in the larger economy or investment markets don’t impact your current lifestyle or long-term financial plans. Please give us a call if you’d like help ensuring your financial strategy is on target with your goals, tolerance for risk and investment timeline. Content prepared by Kara Stefan Communications. 1 Kimberly Amadeo. The Balance. Sept. 10, 2018. “Leading Economic Indicators and How to Use Them.” https://www.thebalance.com/leading-economic-indicators-definition-list-of-top-5-3305862/. Accessed Oct. 8, 2018. 2 Bloomberg. Oct. 8, 2018. “The 12 Global Economic Indicators to Watch.” https://www.bloomberg.com/graphics/world-economic-indicators-dashboard/. Accessed Oct. 8, 2018. 3 Simon Kennedy. Bloomberg. Sept. 16, 2018. “Goldman Sachs Doesn’t Share Wall Street Fears of 2020 Recession.” https://www.bloomberg.com/news/articles/2018-09-17/goldman-sachs-doesn-t-share-wall-street-fears-of-2020-recession. Accessed Oct. 6, 2018. We are an independent firm helping individuals create retirement strategies using a variety of insurance and investment products to custom suit their needs and objectives. This material is intended to provide general information to help you understand basic financial planning strategies and should not be construed as financial or investment advice. All investments are subject to risk including the potential loss of principal. No investment strategy can guarantee a profit or protect against loss in periods of declining values. The information contained in this material is believed to be reliable, but accuracy and completeness cannot be guaranteed; it is not intended to be used as the sole basis for financial decisions. If you are unable to access any of the news articles and sources through the links provided in this text, please contact us to request a copy of the desired reference. Phoenix Arizona Financial Planner Teresa Bear 480-503-0050 http://www.TeresaBear.com Helps Phoenix Investors by Sharing Retirement and Investment Planning Tips. Certified Financial Planner Board of Standards Inc. owns the certification marks CFP®, Certified Financial Planner™ and federally registered CFP (with flame design) in the U.S., which it awards to individuals who successfully complete CFP Board's initial and ongoing certification requirements. Investment Advisory Services offered through Brookstone Capital Management, LLC, a SEC Registered Investment Advisor.